The goal for your basic sales script is to get you foot in the door. If you think about the sales process as a funnel, the basic sales script plays the very specific role of weeding out the 99% of companies who are not looking for your services at this moment. The most important thing to remember is that any sales script is better than none. (See my old blog post on The Worst Sales Call Ever.) Doing something to find clients will eventually work. You just have to do that thing again and again, consistently. Check out the diagram in this video and consider just one or two sentences that you will use at each point in the process. For example, most phone calls today will do straight to voicemail. What message will you leave on that voicemail? Cold calling may not be your thing. But if you're going to give it a try, be prepared. Who is your target market? What are you "selling" today (e.g., a network assessment). Why should they meet with you? When is this available. Finally, where will you use the script? Too many IT companies hire a new technician just because they're too busy. Having a backlog is ONE indicator that you might need a new tech. But it's certainly not the only one. And it's not enough reason to make that hire. First, you need to be super clear about the math. I'm going to throw out some numbers, but you'll need to plug in the real numbers for your company and economic reality. Let's look at three possible scenarios. Consider your scenario and get realistic numbers here. Know what the true annual cost of a new employee is. THEN you can consider the following. 1. Determine your backlog and productivity rate. Your backlog simply consists of all the work that is in your system. I assume you have a PSA (professional services automation) tool such as ConnectWise, Autotask, Tigerpaw, or LogicNow's Service Board. Every ticket should have a time estimate. The total of all outstanding time estimates is your backlog. If you don't track this stuff, then you have to take a wild guess at your backlog. In my experience coaching IT service providers, your wild guess will be very wrong. Your productivity rate is based on the overall billability of your team. Let's say you have five full time techs. One of them is also the service manager, so he's about 40% billable. Let's say the others are 60%, 65%, 70%, and 75% billable. "Billable" means the amount of productive labor they contribute toward closing tickets. It excludes spinning their wheels, rework, drive time, meetings, training, and other "overhead" labor that comes with having a job. If you take (40% x 40 hours) + (60% x 40 hours) etc. you come out with 124 hours of productive labor per week. That's an overall rate of 62%, which is a VERY common company-wide billability factor. If you don't track this stuff, you probably think your company is far more billable than that. OKAY, so now you can calculate how long it will take to complete all the labor requests in your service queue. But of course that's not your goal. When your backlog is zero, you are out of business and you don't need any employees because you have no work. 2. Determine your service labor turnover rate. Realistically, you get new service requests all the time. Once you start tracking your backlog, you can begin to track the rate at which tickets (hours) enter your system. You know that you can knock out about 124 hours of backlog per week. Is your backlog growing or shrinking? If it's shrinking, it means that you are catching up or losing clients. If it's growing, then you are getting further behind. With luck that's because you're adding clients. It is worthwhile to make these calculations for many reasons. You should always look at your service board as a living, breathing thing. Hours come in. Hours go out. Projects create bumps in the chart. Vacations do the same. Don't guess at these numbers and then make decisions based on guesses. You will be wrong. Don't hire a technician if your backlog is shrinking and you have temporary bumps in the system. Hire a temporary employee if you need to, or outsource some work to a member of your local SMB IT Professionals group. "Fix" a temporary labor shortage with a temporary solution. 3. Push non-technical work to non-technical employees. One of the most important roles in your company is your administrative assistant. Admins can do lots of things you are probably handing to technicians. For example, setting up accounts with Microsoft, Rackspace, Intermedia, and other cloud providers. Once you have a form with the information you need (users, passwords, email addresses, etc. ), an admin can log onto the dashboard for any service and create the users. There is nothing technical about this. In fact, a good admin will be very high on the Conscientious and Steady scales of the DiSC profile. So they will do this job perfectly - and enjoy it! 4. Weed your client garden. IF you use your PSA and QuickBooks right, you should be able to determine the profitability of each client. Start with the total service revenue and calculate the cost of delivering that service. Once again, this is only possible if everyone on your team uses the PSA/Service Board correctly and enters 100% of their time into the system. Also, remember your billability rate. If there are 62 hours in the system for supporting a given client, remember that you had to pay technicians 100 hours in order to deliver that service. I like to sort clients by total revenue. But it's also useful sometimes to sort them by overall profitability. This includes managed service labor, project labor, hardware, software, and services. Since services are bundled into managed service offerings, we really just have to track cost of goods (services) sold to determine the cost of delivering things other than labor. Anyway, look for two kinds of clients that you may want to drop: Low revenue clients and low profit clients. Low revenue clients are just that. Sort your total client sales by client. Export that to Excel and add a column with the total hours spent on each client in the last year. If you have 25 clients who paid you an average of $500 last year, that's only $12,500. And just for argument's sake, let's say that $500 represented five hours of billable labor. Overall that's 125 hours of billable labor. You had to pay your technicians 200 hours overall, at 62% billable. If your overall average technician costs you $25/hour, then you paid $5,000 in labor to collect $12,500 in revenue. Profit: $7,500. Not bad! Except . . . It might make more sense to drop those clients than to hire a new technician. If these clients have been at that level for a long time, then none is likely to suddenly grow, hire more people, and sign a $1,000/month managed service deal. Be realistic about that. Cut from the bottom up. Remember: You need to pay wages forever. Or at least that's the assumption when you hire someone. Once you've sorted clients by profitability, start counting up from the bottom. How many clients will it take to pay for your new technician? The answer is usually a lot! This is the reason that many companies only work with clients of a certain size. One- and two-person clients are not very profitable. And once you've paid for your technician, you've create no additional profit! How many hours are left over for this technician to generate new revenues for you? I always assume that everyone already has an RMM (remote monitoring and maintenance) service such as LogicNow, Kaseya, or Continuum. If you don't, then you should absolutely invest in one before you consider hiring another technician. If you have five technicians, you might just be able to cut back if you use an RMM properly. With LogicNow, I can manage 500-1000 desktops per technician. Once patch management is in place, anti-virus is guaranteed up to date, and remote management tools are everywhere, support becomes much more profitable. I've seen it time and again at companies I've coached: a good RMM will dramatically increase your productivity (billability). The jump from 60% to 70% billable will take some time. But with good, consistent processes, it is very manageable. Also consider outsourcing specific tasks. You might hire an intern to help you with the backlog, if you're sure it's temporary. One time when KPEnterprises had twelve employees and added a couple of really big clients, we had to attack a sudden backlog in short order. We picked a handful of specific projects that could be done 100% remotely by entry level technicians. Then we documented exactly what we needed done. Next, we put out a Craigslist ad and hired seven very-temporary technicians to do the work. This took almost all of one existing technician's time to manage, but we beat down the work in short order. It also gave us the ability to rate our temporary workers. Later, when things settled down, we offered one of them a job and hired him. Another way to outsource is to work with a company such as Third Tier (see www.thirdtier.net). Throw them the really difficult jobs and you may be able to get by without that $75,000 super-tech on staff. That will free up money to hire a great $50,000 tech and train them up from there. 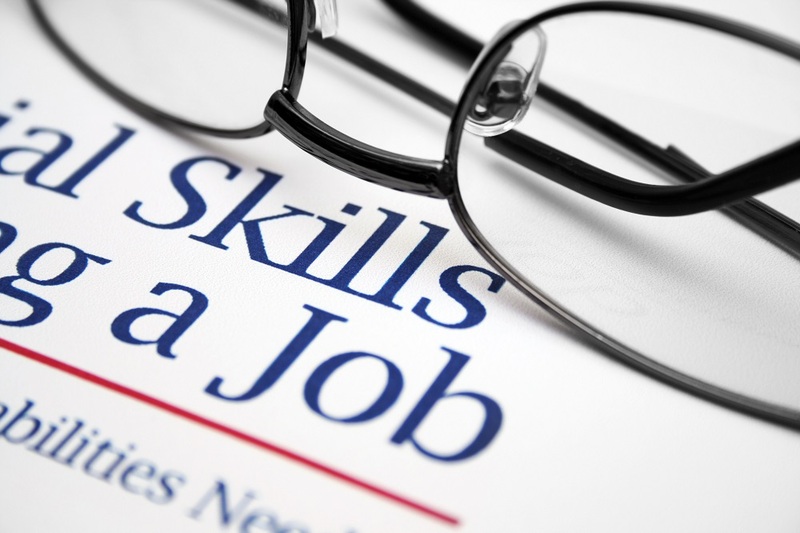 The bottom line is that hiring a new technician is an important decision. It's sad when you have to let someone go just because you didn't realize your labor shortage was temporary. It's worse if you didn't do the math right and you can't really afford them. Many people don't consider that they might be able to cut some small or needy clients and make more money - without hiring a technician. My latest video is about setting priorities within your managed service business. 1) All work is done on a Service Ticket. That means we don't do anything until there's a ticket. 2) We do all work based on it's priority. When everyone is working on the highest priority work they can do, then everything runs much smoother. Strangely enough, some people don't like to prioritize tickets because they're afraid that the low priority tickets won't get any attention. Think about what that really means. If you're so backlogged that some things won't get done . . . Do you want those things to be low priority or high priority? If you don't work based on priorities, you are wasting a lot of time, and dropping the ball on some important stuff. 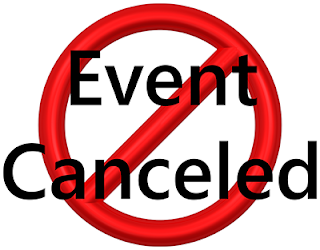 Online Conference Canceled - What Kind of Events Do You Want? Today I have the sad job of canceling this year's SMB Online Conference. The reason is very simple: Extremely low attendance. Maybe 100 of you were just about to register and put it off til the last month of registration. But probably not. As the organizer of the event I am extremely grateful to the people who attended every year for the last five years. I am also extremely grateful to the speakers who gave their time and talent. In fact, it's largely for the speakers that I decided to cancel the event. I'm thankful that I can get a dozen true community leaders and thinkers together to put on an event. And these people are all true "givers" to the community. But I can't ask them to put out the effort in preparation and presentation for an audience of a couple dozen. While it's possible that we could have rallied and gotten decent attendance, it would have meant spending thousands more on advertising and dedicating lots of time over the next five weeks. And even that would have no guarantees. I wrote last week in my newsletter that learning to STOP doing things that aren't working has been my never-ending struggle. There are basically four kinds of events in the SMB IT Pro community. Here's what I see. 1. Vendor events. These include the ConnectWise and Autotask conferences. I'd also throw in LogicNow events, Datto events, etc. These are communities centered around a specific primary product or service. Most of these events are excellent and provide massive content. But the emphasis in on the vendor. 2. "User Group" events. These are the various SMB IT Pro and former SBS User Groups around the world. These groups are focused on local companies getting together to share knowledge and experience, and on becoming educated together. I would put most peer groups in this category. These groups have been in decline for the last five years. A few amazing groups remain. But it's becoming harder and harder to get attendees or even vendors to show up. 3. Vendor-Sponsored Events. 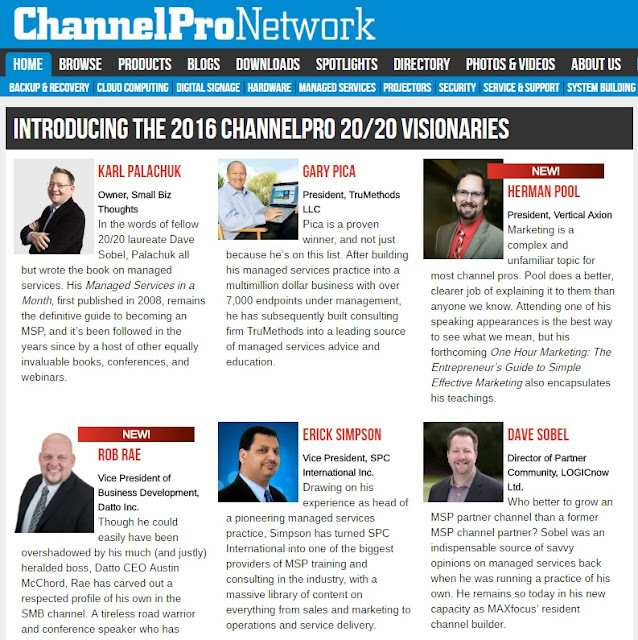 These include ChannelPro, ASCII, CompTIA, Business Solutions, Channel Partners, etc. These events have some general presentations about how to run a successful business, but the overwhelming emphasis is on putting paid sponsors up on stage to introduce their latest products and services. This is a growing group of events. In fact, it's positively exploded in the last several years. These events tend to be regional. They tend to be free or cheap. The ratio of vendor content vs. business content is about 80-90%. Don't get me wrong: I love these events. I attend lots of them. And there's lot of good information. But the focus is squarely on the vendors. 4. Business or MSP Training Events. This category has been shrinking dramatically. As people have wandered off to the vendor-sponsored events, the business-focused events (80-90% or more business vs. vendor information) has declined. The one event in this category that has grown successfully is Robin Robins' bootcamp. It has a growing vendor presence, but the content is overwhelmingly focused on good business practices and growing your MSP business. Another successful event in this category is Dave Seibert's SMB TechFest. To help I.T. Consultants be better at the business side of their business. Some of this activity is just the evolution of our space. Many small I.T. shops went out of business during the recession. A growing number of larger MSPs are growing by buying up their competition and gobbling up failing companies all over the country. So the littlest companies are gone and the larger companies are probably sending people to one or two key vendor events. But I also know from my own mailing list that LOTS of new people are entering this business all the time. They are hungry to learn best practices. 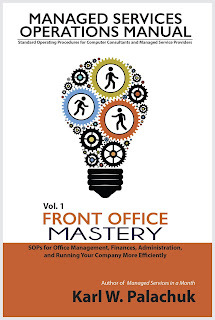 Many of them buy lots of books and recorded trainings from my SMB Books web site. So I know they have money and they're willing to spend it. Just not on the online conference. Question: What kind of events do you want? In what format will you consume information to improve your business? And, yes it would need to be a paid event. I don't apologize for charging. My experience is that 99% of the "free" events are not taken seriously. People throw the information away. They browse Facebook while speakers are talking. They assume it's worth a little more than they paid, but not much. Please don't misunderstand me: I'm doing just fine. My online sales of books and trainings are going great. Audio book sales are great. Five week classes are great. Pretty much everything except the online conference is doing really well. And that makes it easy to offer refunds to the people who supported me early on. I would appreciate your feedback. What's next? How can I help you improve your business and make more money? What Do You Do with the Network Documentation Binder? My latest SOP video addresses the Network Documentation Binder. What is that? Well, basically, it's a physical binder at your client that includes . . . There's a little more than this information - but not a LOT more. The bottom line is that you just the most important information. Some documentation tools (such as Belarc) give you massive amounts of completely useless information that you'll never use. Think about what you need when you take on a new client. That "core" information that's missing most of the time is what you need. This is not the "How do I ..." documentation but the "How is it configured?" documentation. 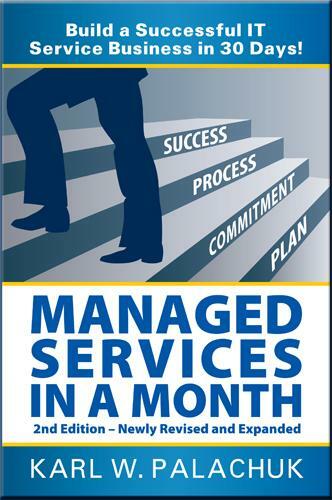 As most of you know, I sold my larger managed service business several years ago and started a new one in 2014. My new MSP takes only high quality clients who are dedicated to using their technology to make their businesses better. That means they are willing to spend money and do whatever I tell them to do. It also means I spend a LOT of time turning down prospects who want to do business with me. In order to do that, I have to make a pretty quick assessment of whether they take I.T. seriously and whether they'd be a decent prospect. Most small companies have NO IDEA what their technology profile looks like. They don't know where their data are. They don't know who controls their domain registration. Very often, they don't even know who their ISP is. You would think that the act of paying for these services each month would give them a clue. But it doesn't. Many use free Internet services, so there is no bill. And all too often, they're using for-pay services that their former I.T. consultant left in place but stopped billing them for. So they're getting free spam filtering and "guru" is paying for it - probably without knowing. As someone who is rigorous about documentation, this is all beyond my comprehension. But it makes my decision to reject these prospects very easy. They obviously do not put any effort or concern into their technology. That means they're probably not willing to invest money in it. With viruses and spyware and Cryptolocker, I don't know how these companies survive. If I went without AV for ten seconds, I'd be overwhelmed with viruses. These people go years with no idea who is managing what. 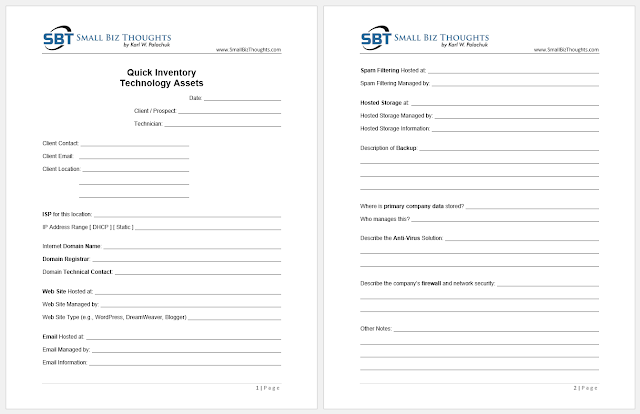 Instead, I developed a quick little 2-page document to help them take inventory of their technology assets. This is NOT a replacement for real, thorough network documentation. I'm posting a video about that tomorrow. What is your internet domain name? Who is the registrar for that? Who is the technical contact for that? Where is your web site hosted? Where is you email housed? How is your email filtered? Where are your files stored? How are your important files backed up? What is your anti-virus solution? How is your network protected (e.g., firewall)? Click the graphic to enlarge. No, you can't get the Word doc version of this. It's mostly white space. It will take you seven minutes to retype it. 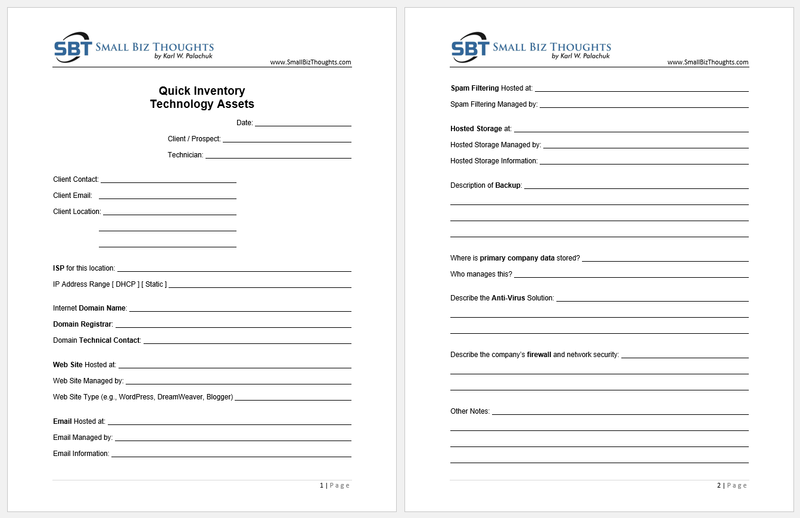 If you don't have something already, such as the 68-Point Checklist or another lengthy interview tool, this quick inventory might be very helpful. It can be used to educate the client/prospect about the scattered nature of their resources. Personally, I would be in a panic if I didn't know where my company data lived, who controlled it, and how it was secured. But I'm very clear about one thing: People who don't know this stuff are not my clients! And if you have recommendations for improvement, post them as comments so we can all share. Lots of people tell me they want audio books because they don't have time to read. Or they want to review the information in another format. Who needs Standard Operating Procedures (SOPs)? Everyone! When you document your processes and procedures, you design a way for your company to have repeatable success. And as you fine-tune those processes and procedures, you become more successful, more efficient, and more profitable. In PDF, Kindle, or Paperback formats. Only $19.95. In Paperback (Kindle version coming very soon). 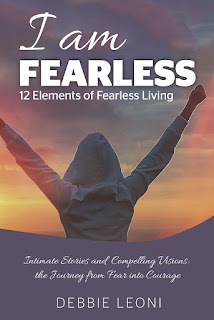 In this book, life coach and wellness educator Debbie Leoni presents twelve elements to empower your courageous self and fulfill your ability to live fearlessly in the life of your dreams. By putting the spotlight on and embracing the statement, "I am Fearless," you are able to experience greater fulfillment and give more to the world. Each of the twelve elements are written to guide you into the experience of your most courageous self. Enjoy the journey as you gain new perspectives and release blocks of fearlessness one chapter at a time. 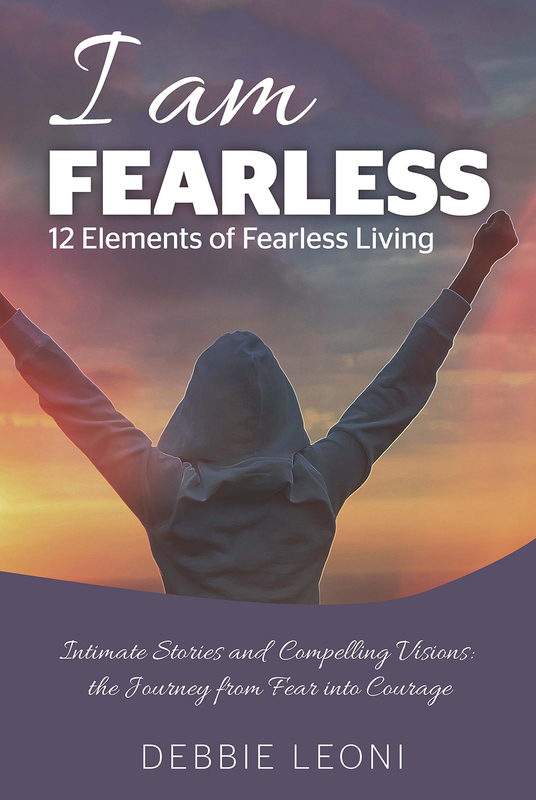 Choosing a fearless mindset requires the awareness and courage that are available through the exercises, meditations and stories shared throughout the book. Learn from others on the path, including the author's personal journey, of being willing to look from a new angle and do whatever it takes to go from fear into courage. Use this book to eliminate stuck places holding you in smallness, limitation or any other form of fear. Make your insights matter by taking action on journal topics and meditation suggestions. You will ultimately move forward with a sense of eager anticipation to enjoy living fearlessly. Foreword by Jenifer Novak Landers (author, Fully Expressed Living). Learn more about Debbie and her coaching programs at www.debbieleoni.com. One of the biggest steps you go through as your company grows is whether you should hire or outsource a technician. After that, you need to decide whether you should get someone full time or part time. Fundamentally, this is a challenge of cashflow. It's critical to remember that no technician will ever be 100% billable. So you have to accept the fact that there is some management, some training, some downtime, etc. In this video I address the key things to consider. One option is to start with a part time employee. That's great for you, but hard for the technician. So don't be surprised if they leave for a more full time job. Hiring an employee makes it easy for you to make sure the taxes are paid properly. Outsourcing is attractive because the engagement can be very limited in scope. Just make sure you sign an agreement so that all three parties (you, the technician, and the tax man) know exactly what the relationship is. Very often, the hourly cost for these options comes out about the same. But there are lots of variables to consider as you grow.